Egypt's cabinet has resigned but will stay on in a caretaker role until a new government is formed, a statement from the office of President Abdel Fattah al-Sisi said on Saturday, without giving a reason for the move. The announcement comes almost one week after the authorities arrested Egypt's agriculture minister over corruption allegations. Prime Minister Ibrahim Mehleb submitted the resignation of the cabinet on Saturday and Sisi accepted it, a statement from the presidency said. 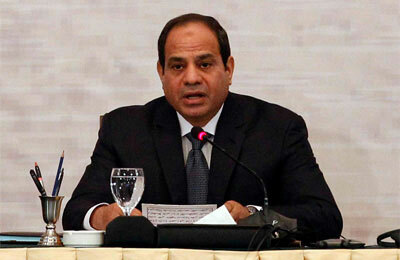 Sisi ordered the cabinet to remain in a caretaker role until a new cabinet was in place, the statement said. Egypt is fighting an Islamic insurgency and is struggling to rebuild its economy since a popular uprising toppled autocrat Hosni Mubarak in 2011. Mehleb was appointed prime minister last year after serving as minister of housing. He had been chairman of Arab Contractors, one of the region's largest construction companies.